This copy from Peter Haxby. Worked at RAF Methwold 1944-45. John had been snapped up by the Americans just after the war and has lived there ever since. Even today (July 2005), although in his 80's, he still teaches at the FBI Academy. Peter Haxby was at Feltwell between 22.1.45 and 3.2.45 undertaking No 1 GH Course. He was stationed at Methwold between 8.1.45 and 8.11.46, 149 Squadron. He was 19 in 1944. Lancaster TK-B Photo provided by Mr Derek Thurman, who was a Flight Engineer with "C" Flight, No.149 Squadron, RAF Methwold, (1944-45). This is a photo of his Lancaster - Pilot P/O Gregory. It is worth noting that this is the Lancaster which is supposed, (according to Channel 4), to have killed Glen Miller, the big band leader. The historians involved in the C4 Documentary ignored the fact that the Lancaster & Millers plane were not in the air at the same time! John Johnson adds, "That's a great photo, and if you look carefully you can see at least three interesting things. The first is the Gee receiving aerial which is very hard to see in photos. It's about 3 ft behind the observation dome. The G-H transmitting aerial was a little further down the fuselage, same type, but hidden by the wing. The second is the IFF bayonet transmitter-receiver aerial. You'll see that under the fuselage and it looks as if it's sticking out from the bottom of the starboard fin and rudder. The third is the gas detector yellow lozenge. You'll see that near the mid-upper turret above the roundel. 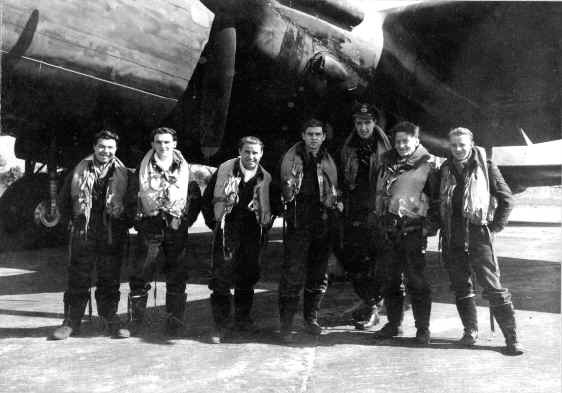 149 Squadron was one of those squadrons chosen for, and trained in gas warfare. 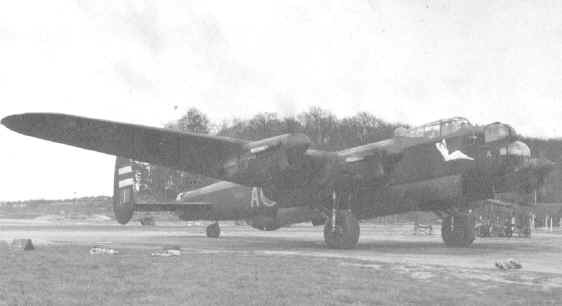 I remember TK-B as the first extended bomb-bay Lanc that I ever worked on, and only a couple of times. The thing that sticks in my mind was that it had a ventral gun position, while TK-A didn't. TK-A was cut off square at the end of the bomb bay. TK-B's position is obvious. On the 18th July 1952 Harvard Ser. No. 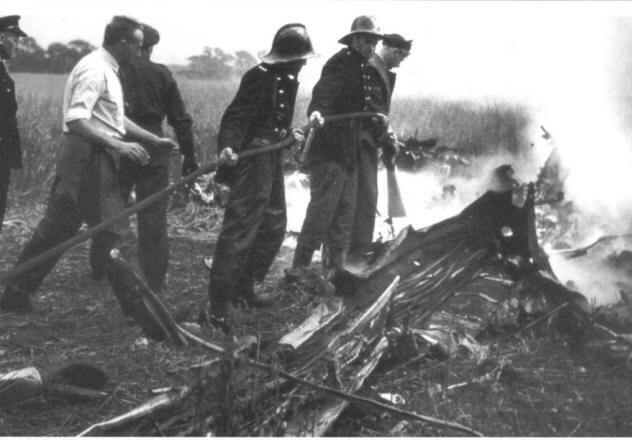 KF704 of No3 FTS, RAF Feltwell, Norfolk crashed at Church Farm, Bexwell, (Nr Downham Market), Norfolk. The Pilot was seen to stall the aircraft after recovering from a dive. Subsequently the aircraft dived into an Oat field at Church Farm, (owned by Mr G.W. Martin), crashed & burnt out. The Pilot, (name unknown), was killed in the incident. This photo provided by My Robert Collis of the Norfolk & Suffolk Aviation Museum. Detail from Dan Engle.